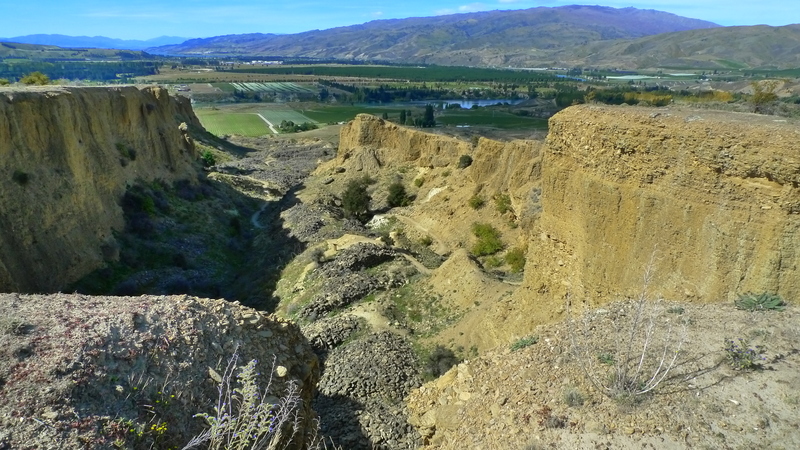 Located in Bannockburn, Central Otago, Felton Road farms 32 estate hectares of Pinot Noir, Chardonnay and Riesling. Using biodynamic and organic techniques, the vineyards are farmed carefully and gently. Each block and vineyard is coddled into revealing it’s expression. Winemaking has a simple goal at Felton Road: elegant wines which respect and reflect place and is accomplished by traditional methods of spontaneous, wild yeast fermentation, long malolactic fermentation and subtle use of oak. The following tasting notes are from two separate tastings at Felton Road I was lucky enough to take part in. 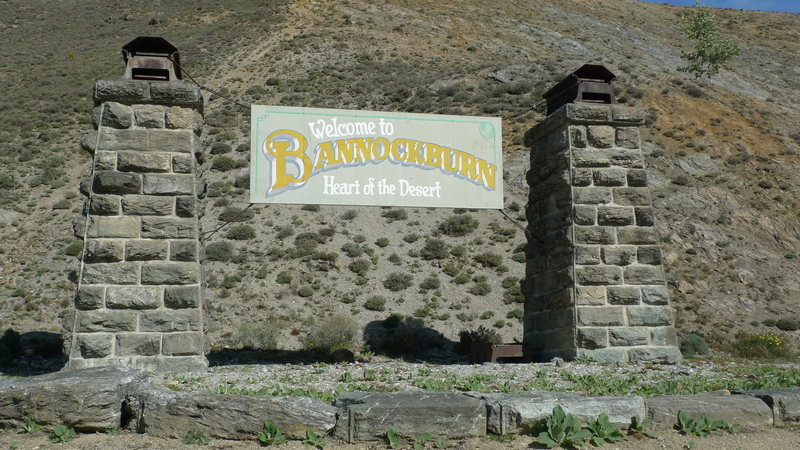 The first was hosted by Blair Walter, the winemaker, on a lazy and warm Saturday afternoon in mid-March. Blair welcomed me to join on a tour and tasting with a couple VIPs: Justin Lorenz, wine director at Aureole New York, as well as a wine writer from LA (whose name escapes me). 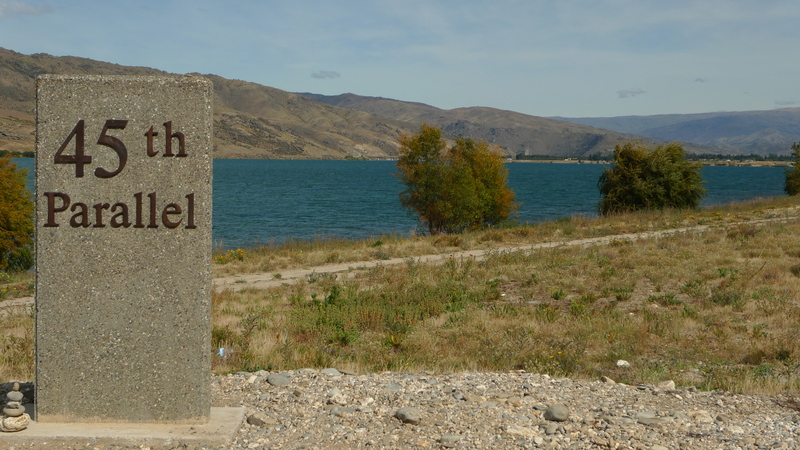 Blair took us on a tour of the Elms Vineyard, where the winery is located on Felton Road in Bannockburn, Central Otago before opening all the current releases as well as a couple older Chardonnays. The second event, in late April, was the clincher: On Easter Sunday, I was fortunate enough to be included in a 14 year vertical tasting at Felton Road. Amid the quiet hum of long-time case buyers, wine wholesalers and otherwise FR devotees, I was able to taste an enormous range of vintages and bottlings from Felton Road. One of the best parts of the 14 year vertical was the chance to see older vintages as well as wines from magnum. I love how wines from magnum are slower to evolve and display backwardness and freshness, with power and depth, compared to the forward leaning flavors and aromas from 750ml bottles, in general. 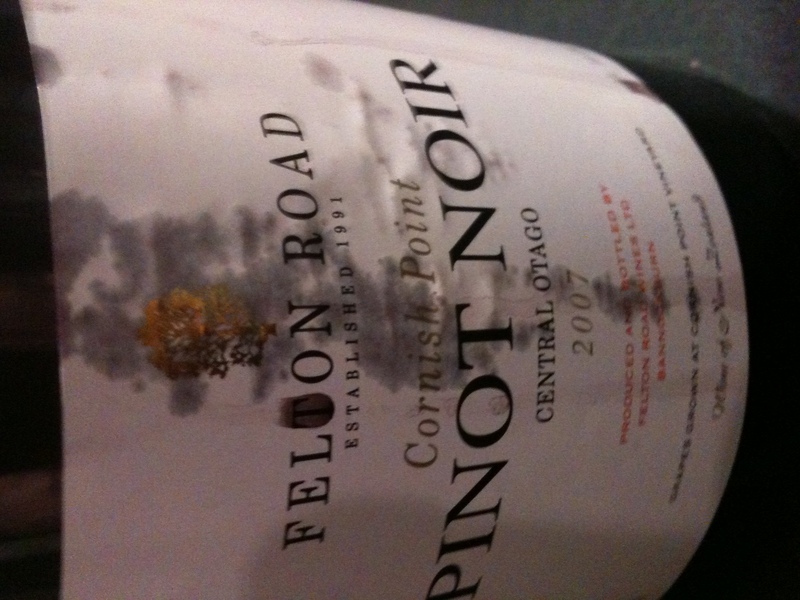 Felton Road Pinot Noir all have quiet aromas, mineral depth and a deep earthy quality. Palate flavors are never bursting with fruit but are complex with darker fruit, thick, chalky tannin, minerality and sappy earthiness. The different bottlings each have somewhat distinct characteristics though I feel strongly that the level of extract and complexity clouds their early expression and require cellar time before the distinctiveness emerges. Felton Road Pinot Noirs are normally composed of 20-30% whole cluster bunch destemmed directly into fermentation tanks with minimal crushing. Fermentations are traditional with moderately long skin contact (averages 18-22 days). Only indigenous yeasts are utilized for primary and secondary fermentation and wines are pressed to barrel by gravity without settling. Percentages of new oak are vintage and bottling specific. Dark red with bricking meniscus. Fully developed with bouquet of soft earthen notes, oolong tea, iron and blood, sweet mushroom broth, cedar and black currant. Developed, quietly concentrated and delicately textured, this Pinot Noir is phenomenal, maybe one of the best I’ve had from Felton Road. On the palate there is a purity, vibrancy and tension along with supple structure and a long, sappy finish. Old world, earthen and reminiscent of Burgundy with brooding complexity. Drink over the next 5-10 years. From magnum. Similar to the 2001 in color, aroma and structure, if a bit more youthful, powerful and vibrant. The persistent structure has not softens and so hides the fruit within fine, grainy mocha tannic depths. On the palate, there is ample concentration of ripe and dark plum fruit, notes of dust and dried floral notes. Long cocoa powder finish. This is ready now though it should age well, though does not show the brooding structure of the 2000. Drink over next 3-8 years. Fruit from the Elms Vineyard, Calvert and Cornish Point Vineyards. Averages about 25% whole cluster and spends 11 months in approximately 30% new oak. 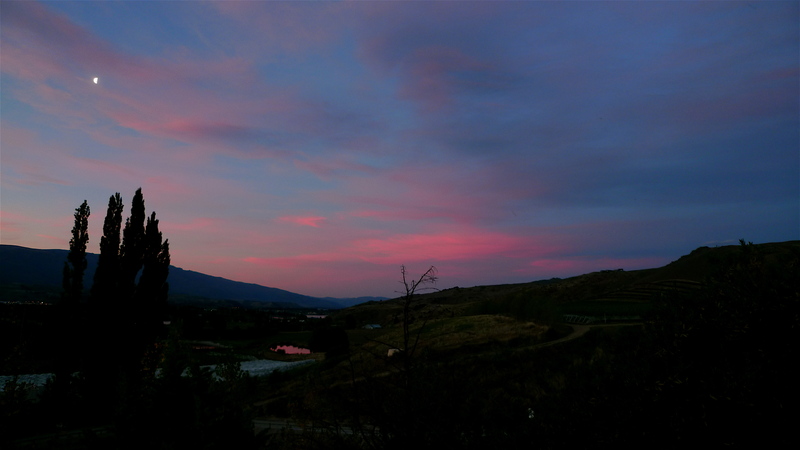 Clear, moderate intensity with violet plum red hues. Youthful fruit aromas of pomegranate, red currant, black plum and fig tea. Nice sappy spiciness. Dark mineral and earthen notes of wet forest floor and musky brown sugar. Fine cocoa powder and dark cola tannins and a firm but floral rubbery finish. Forward leaning yet obviously showing promise for development. Drink now over the next 6-10 years. In bottle for only about 1 month. Dark violet red hues. Super tight but surprisingly fresh fruited with plum, raspberry, chocolate cherry and generously tannic with nice acid. Turkish Delight and a flurry of floral notes on the finish. Plenty of pedigree, but needs a six months at least to knit and settle. Shows promise for 2010. Defined by elegance and energy. Calvert is leaner and tighter, earthen and mineral driven with more accessible primary fruit, fine tannins and excellent texture. Younger vines from 1999, the Calvert Vineyard is leased and farmed by Felton Road and the fruit is split up between Pyramid Valley, Craggy Range and Felton Road. The Calvert bottling typically has 25% whole cluster and sees 11 months in 30% new oak and a further 2-6 months in neutral oak to knit flavors. Dark red hue with watery rim. Seemless, bright and edgy on the nose with mineral depth , lifted floral notes, baking spice and forward, if demure, red fruit and a soft earthiness. On the palate, beautiful acid and lifted tones of cherry pit, mineral,baking spice with sappy hints and a dusty structure before a rather tight finish. Not ready, though well-knit and completely enjoyable. Drink 2012-2022. Dark red hue with watery rim. Ripe aromas of rose, blackcap raspberry, fig, Turkish delight and barrel spice. On the palate the wine is elegantly forward and accessible with bright acid, concentrated fruit and licorice notes, excellent tannic structure with layers of soft earth and mineral below. This is a wine that is immediately appealing with velvet texture and is as opulent as it is subtle. Drink over next 8-10 years. Dark red violet hue with watery rim. Earthen thickness to the aroma with ripe red and black currant, apple skin and brown sugar plum fruit. Some nice woody clay notes on the midpalate along with mineral and pine resin A bit of sappiness is evident with black olive, fennel along with baking spice before a lavender silk finish. Soft and generous fresh black tea tannins. Lean and tight. Just a baby. Drink 2012-2023. Cornish Point is an exposed vineyard site surrounded by water. I find the Pinot Noir from Cornish Point to be more full-bodied, denser and voluptuous, with edgy, dusty and rustic tannins. The sweet and dark fruit is veiled behind earthen flavors and floral and spicy aromas. The Cornish Point bottling typically has 25% whole cluster and sees 11 -14 months in 30% new oak and a further 2-6 months in neutral oak to knit flavors. Dark red hue with watery rim. Strange in that the nose is quiet while at the same time brimming, dense and voluptuous while at the same time restrained. All I can think is that the wine is in a muted stage of it’s development. Regardless, enticing aromas abound with dusty earth, spice and floral notes on a mineral backbone coming through before the dark, sappy fruit; nice acid with rather firm tannic structure of cocoa powder and berry leaf sappiness. Oak is somewhat more forward here than in many other bottlings. Wait on this one. Drink over the next 10-14 years. Superb. Dark red hue with watery rim. Sweet, dark fruit but also distinct in that the broader and more rustic character of the site comes through with dark florality, mocha, barrel spice and an earthy depth. Long, velvet finish, again with more oak than other bottlings, especially on the long, dark, chewy finish. This wine is enjoyable and a great example of the plush, forward vintage, which showcases wines that should be more available in their youth. Drink over the next 8-10 years. Dark red violet hue with watery rim. Voluptuous and edgy with sweet fruit, dense earth components, soft structure and only hints of green herbal sappy spice. Sweet bright red and black fruit with cranberry and black currant, rich with only hints of jamminess. Clay and flint mineral notes with soft forest floor before mocha, cola and dusty oak spice wraps up the palate with white pepper and clove. Long violet floral finish. Lovely silken texture with bright acid and fine chalky tannin. Restrained and a picture of elegance yet full-bodied and broad and backwards. So much potential. 95 points from Wine Spectator, not that I care. Wait. Drink over the next 10-15 years. The Block 3 bottling relies heavily on 10/5 clone ( Wadensville) grown on a deep swathe of Waenga soil, a very deep fine sandy loam. After spontaneous fermentation the wine ages 14 months in 40% new oak (sometimes up to 55%). The vines are 19 years old and benefit this bottling with complexity, depth, finesse and power framed by earthen and mineral edges. Due to the heavier oak influence, Block 3 is certainly concentrated and rich but without the weight of Block 5. Dark plum red. Beautiful, transcendent and brooding…plenty of time to go but just just singing beautifully now as the tannins start to unravel to allow dusty secondary flavors and bouquet to shine through with cool black tea, apple skin, dried blackberry, sandalwood, cocoa powder and spiced cola. Still an earthy depth and mineral framed wine but ultra refined tannins lend a bit of structure to the lush and viscous finish of blackcap raspberry silk, sweet herb and melted chocolate. 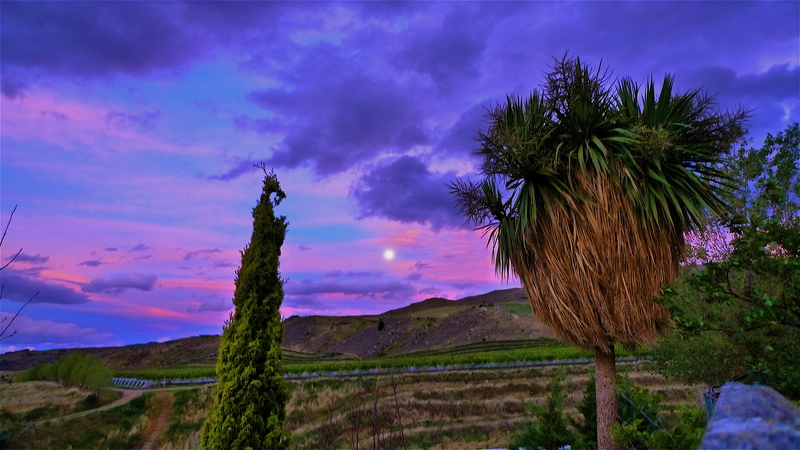 The richness of this Pinot Noir defies most Central Otago Pinot’s up to this point while maintaining a graceful and developed balance. Drink over the next 8-10 years. Dark plum red. Youthful though some development has calmed the lushness. The strikingly huge tannic structure is on par with powerful dark plum and cherry aromas and flavors. The wine is also dusty and earthy, hinting of leather, dried herb, cocoa powder along with barrel spice. Nice composition and balance though not as compelling as the 2005. Drink over the next 6-8 years. Dark plum red. Beautiful aromas, great balance and ripe flavors are sewn together with bright acid that will help to prove this wine to be tremendously ageworthy. Nice mélange of flavors and aromas with sappy, sweet herbs, bitter chocolate, ripe raspberry, strawberry leaf and red flowers painted on a dark earthy canvas. Concentrated flavors, nice complexity, velvet texture and nice bit of structure with dusty, sweet tannins. Long dark, smoky fruit finish. There is a lot that will develop, though nothing needs to be resolved. I love wines like this! Drink over the next 8-16 years. Dark plum red. Very approachable and surprisingly bright expression. Aromas of sweet fruit, earthy funk as well as soft minerality before brown sugar and sweet herbs. Nice acid and soft texture along with rich, fine tannin profile. Moderate finish. Following the pattern of 2008’s showing beautifully well in their youth without lacking potential for long-term development. Drink over the next 6-10 years. Dark black cherry red. Concentrated and tight within a cocoon of earthen and mineral depth with hints of dark fruit, bramble, sap and floral perfume. Seems more reticent than previous tasting; displays spiciness and structure that speaks to the pedigree from these mainly 19 year old vines. Such as beautiful composition with Damsel plum fruit, crushed sappy herbs, bitter chocolate, cola, olive and roasted coffee beans. Seemless sweet texture, nice velvet acid and a long earthen mineral finish. Hold. Drink 2012-2025. Block 5 is primarily UCD 5 clone (Pommard) and averages 16-23% whole cluster. The block is defined by high proportion of clay in the soil profile and the bottling spends a lengthy 18 months in 38% new oak, mainly Damy). Block 5 tends towards meaty, rich and chiseled tones with more weight than other bottlings, and deserves more patience as well. Dark red bricking meniscus. For a twelve year old Pinot, it is richly fruited on the nose with black cherry juice but fully mature with earthen components of black tea, blood and iron, dusty leather and sweet cocoa powder. Such a stellar mouthfeel with developed silken tannins and a long sweet porcini finish. Drinking very well now! Still some time left, with full development of flavors yet a tightly knit stucture, supple texture, with dust, tea, coffee powder, dry black fruits and wonderful earthy funk framed by aged power, grace and finesse. This is the first vintage of Block 5. Dark violet red with watery rim. Reticent on the nose with mineral depth and a rather heavy and earthy funk. Quiet red currant, black cherry and plum pit fruit along with aromas of clay, some sapling and green olive notes. Lovely spice with ginger cola, clove, anise and hints of purple flower. Rich structure and lovely thick, stout but fine tannin. Dusty and toasty feeling on the midpalate but finishes with a flurry of juicy acid, extract, power and grace. What complexity! Really wait on this one. Drink over next 14-18 years. Felton Road Chardonnay is whole bunch pressed to minimize phenolic pick-up and retain flavor intensity. Juice is drained without settling into barrel where it is left, as much as possible, to it’s own devices for primary and secondary fermentation. There is regular battonage and malolactic is normally slow. Ideally the wines will not be fined or filtered. Once in bottle, Felton Road Chardonnay bottlings seems to bellow out their delicate power and round creaminess at 6-8 years though all have less and less new oak structure as one moves towards the younger wines and indeed, whereas the early 2000’s were given a luxurious 25-30% it has been scaled back to 15-17% now. Block 2 spends an extra six months in tank after twelve months in oak. Block 6 spends 18 months in oak. Darkly hued golden straw. Oxidative and nutty with fully developed bouquet of roasted peach, caramelized lemon, honeyed brioche and sweet roasted hazelnuts. On the palate a somewhat surprising burst of acidity brings freshness and lifts the wine through a soft and round mouthfeel with a long, nutty finish. Will certainly not get better, though I hate to say it’s past it’s peak? 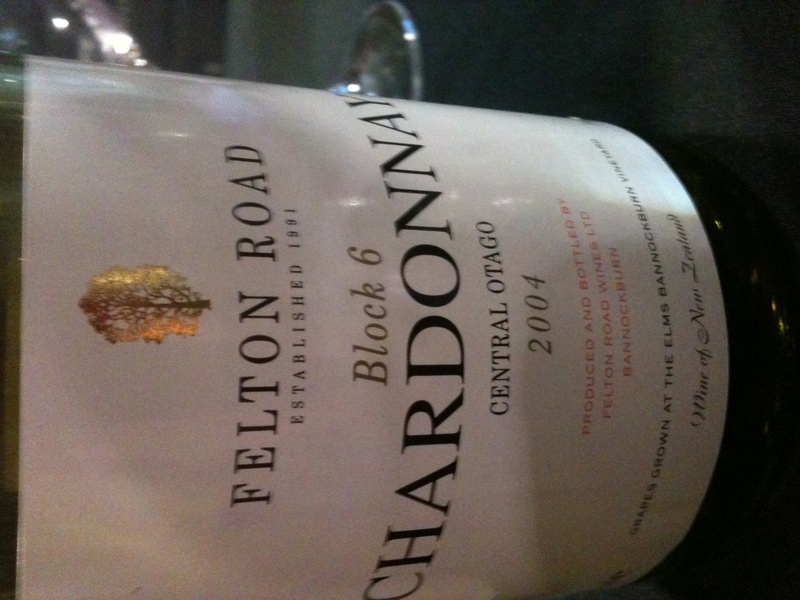 What a treat to taste the first real commercial release of Felton Road Chardonnay. Drink up! Darkly hued golden straw. Fully developed, like the 97 with nutty and oxidative notes and bouquet of rich baked lemon meringue, hair-spray, reductive flint, caramel corn and apricot juice. A bit more weight, creaminess and roundness than the 97 without the as much acidity. A bit less complex and nearing the end of it’s drinking window (if not past) for me, but I love aged and oxidative Chardonnay. Again, such a treat. Drink up! Dark golden hues. Full bodied, oxidative, viscous and creamy with only hints of minerality behind a concentrated and rich palate with slowly receding dried apricot fruit, honey, brioche and paraffin. In no way is it past as it is certainly enjoyable but lacking in freshness and precision with low acid and an oily, nutty finish. Drink over the next year or two. Golden hue with platinum rim. Much brighter stone and baked citrus fruit with nice acid freshness with a round mouthfeel lovely aged complexity with rich, nutty bouquet, reductive flint, barrel spice, yellow pear and ripe peach. Aged elegance! Similar notes from both tastings. Drink over the next 4-6 years. From magnum. Pale golden hue. WOW, what a nose: youthful yet complex mélange of supple yellow stone fruit, ripe citrus chiffon cream, honey, barrel spice and streaks of flinty minerality. The palate one-ups the nose with graceful, creamy texture with hints of freshness within a graceful, round body. Perfect weight, laser focus, nice minerality cleans up the finish. Quintessential developed Chardonnay that speaks more of white Burgundy than of Central Otago. Drink over next 5 to 8 years. Pale golden with platinum hue. Youthful, beautiful balance between rich and lean and tense and round. Fresh aromas of fresh apple, lemon custard, fresh brioche, chamomile blossom, baking spice, stone and ripe nectarine. Precise flavor profile with excellent acidity, mineral depth and a long, rich and creamy finish. Such immediate appeal combined with purity and finesse begs comparison with the 2002 from magnum, but the youthful pleasure along with leanness, minerality and tension is the point of difference. Drink over the next 5-12 years. Pale golden with greenish tint. Low intensity aromas; youthful golden apple, pear skin, stone fruit and orange pith with huge mineral cleanliness of petrichor and slate. Nice balance and purity. Very restrained oak influence yet round body and nice texture, hints of vanilla, clove, ginger candy and popcorn on the finish. Drink over the next 6-10 years. Straw golden with platinum meniscus. More depth, broader oak influence coming through on the nose and palate framing decent acid profile which carries the ripe fruit along. This wine is more concentration and ripeness, round aromas of baked apple, white peach juice, barrel spice, hints of oily minerality and popcorn brulee. Not a brute in anyway, but certainly deep and rather opulent while retaining a freshness and focus. Drink over next 3-5 years. Pale golden with greenish tint. Moderate intensity with lemon chiffon, coconu, white peach and fig. Gravelly minerality leading into a round, rich midpalate of marshmallow, baking spice, ginger cola, baked orange. Vanilla and butterscotch finish with hints of chamomile. Beautiful concentration here with bright acid, svelte texture and lots of room for development. Drink over the next 8-12 years. Straw golden with platinum streaks and watery rim. Impressive depth, seemless transitions and effortless complexity rather than concentration with earthy grace, acid finesse and layered texture, not quite oily but certainly lean and autolytic. Baked stone fruited frame with generous barrel-spiced citrus creaminess and a tense, flinty mineral finish. One of the finest Chardonnay’s yet, could use more time to reach peak, drink over next 4-9 years. Riesling at Felton Road is certainly some of the most undervalued and overlooked Riesling in New Zealand. Three distinct styles are made: Dry Riesling, Riesling, which is off-dry, and Block 1, which always reaches the highest levels of ripeness and thus retains a higher level of residual sugar. I tasted through the Rieslings but did not make many distinctions or notes. I look forward to seeing these acid driven, mineral beauties age. Do make an effort to seek them out for they are well crafted and delicious. Viticulturalist Gareth King pulled the Sauvignon Blanc out when he arrived in 2000 (I think?). But the Sauvy I tasted was phenomenal and fully developed, surprisingly complex and mineral driven. Light tinged golden; Fully developed and mineral driven on the nose and more like Pouilly Fume than Sancerre with a smokiness and flintiness belying the varietal component of the Sauvy with mineral depth, finely etched acid and an slight hint of freshness to an otherwise oxidative set of flavors with poached peach, pear juice and ginger soda. Drink up! Lightly tinged golden; Fully developed but with a more pronounced varietal character, which was very apparent without being overbearing. Not as fine as the 97 with an oxidative and round mouthfeel and flavors of tomatillo and pineapple brulee. Drink up! Vin Gris is made in warm vintages with higher yields of large berries by saignée, a process of ‘bleeding’ juice from Pinot Noir fermenters, thereby reducing the ratio of juice in the must and concentrating the flavors. The juice that is drawn off is pale platinum in color and fermented as a white wine but retains some of the phenolics from it’s time on the skins. Really fun stuff! Tasted blind as a palate cleanser. Fairly innocuous but not without pedigree. Pale straw with hints of gold and developed bouquet of white tea, savory dried raspberry, toasted hazelnut and hints of honey. Fairly viscous yet dry, no tannin to speak of and a moderate finish framed by minerality. Wow. Drink up! 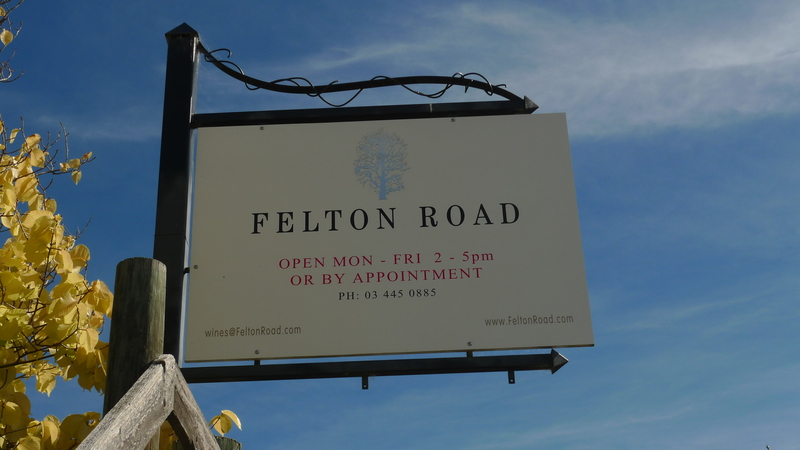 Regardless of whether it is refined and elegant Pinot Noir, rich yet bright Chardonnay or the stellar range of Riesling, Felton Road is top of its class. 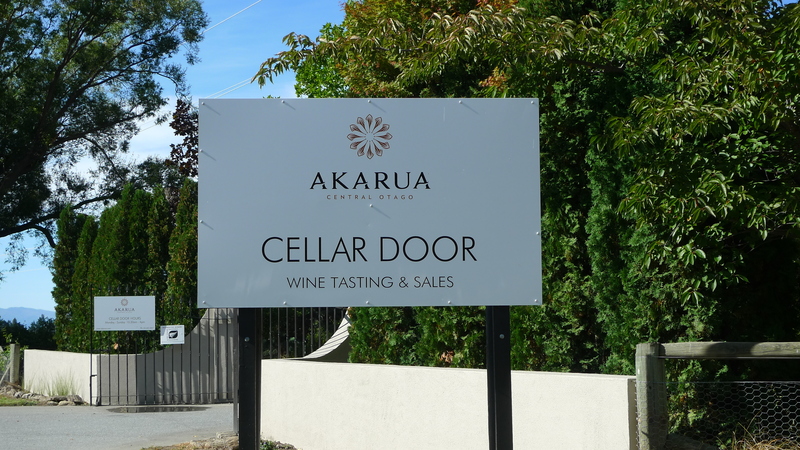 Their wines are truly exceptional in their transparency, complexity and concentration. I love the powerful earth, sappy and mineral components of their Pinot Noir’s and appreciate how the fruit extract is so consistently balanced by acid, tannin and complemented by beautiful texture. The Chardonnay, well, let’s just say it gives me goosebumps. As I was mainly focused on evaluating the Pinot Noir and Chardonnays, each and every Riesling was a joy to taste: taut, full of nerve and tension, beautiful and clean. 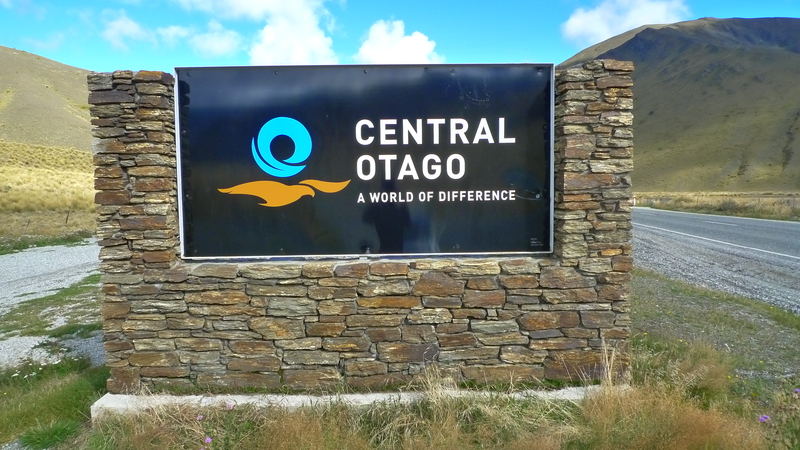 Thanks to Blair Walter and Tracy Thomson from Felton Road for being so generous with their time, energy and resources. To learn more about Felton Road or purchase wine, go here.